Welcome to Your Admiral Library Media Center! Need help with that research project? Want to find a new read? Need computer access? Have a question about your Works Cited page? 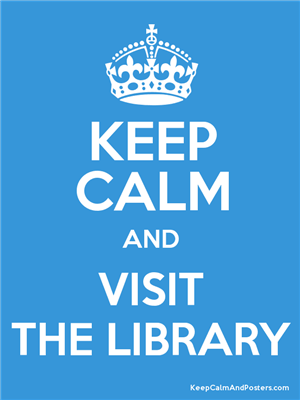 Your Admiral Library is your one-stop shop for all of your information needs. We hope to see you in the library soon! I'm excited to be returning to Farragut for my sixth year as your FHS Librarian! This is my sixteenth year as an educator. I enjoy helping students find their next great read as well as helping them with research needs. Some of my favorite genre include historical fiction, fantasy and dystopian YA, and biographies from the Renaissance and Reformation era. I look forward to seeing you in the library, and please don't hesitate to ask us if you need help! Hello, Admirals! This is my first year as your FHS librarian. However, this is my fourth year as an educator. I have a heart for science, but I also enjoy helping students achieve their academic goals, finding a great new story, and exploring new interests! Some of my favorite genres include realistic fiction, fantasy, and historical fiction. I look forward to seeing you in the library. Let me know how I can help you! Your Library Media Center is open from 7:30 a.m.-4:00 p.m., Monday through Friday. Students are welcome to gather and work in the library before school beginning at 7:30, during lunch, and after school until 4:00 p.m. During instructional time, students may work in the library with a note from their teacher. When tutoring is in session, students may work in the library until 4:45 p.m.
Students may check out as many books as they like! Books have a circulation period of two weeks. All books can be renewed if students need the books for a longer period of time. Knox County School Librarians are the friendly faces of knowledge acquisition. Our libraries are growing, multiservice, dynamic school centers that welcome, motivate and inspire everyone in our community of users. We invest our time and skills in nurturing, promoting, and advocating for a learning environment that maximizes services and equitable access to resources. Our library programs are essential to a school-wide culture of innovation, achievement, and collaboration. Knox County School Librarians are forward-thinking leaders who model inquiry, information literacy, technologies, and trends in reading and instruction. Our professional charge is to inform and empower by fostering a safe environment where users can read, explore, question, solve, and create, leading to Excellence for Every Child.